When I was kindly asked to choose a couple of items from Love Cosmetics, I jumped at the chance to get my hands on some Urban Decay and Maybelline, which I am reviewing for you today. If you are unfamiliar, Love Cosmetics and The Cosmetics House are online beauty stores which sell your top brands (such as Urban Decay, Maybelline, OPI, to name but a few) at bargain prices - so if you have an itch to 'haul' definitely pop over and have a look. 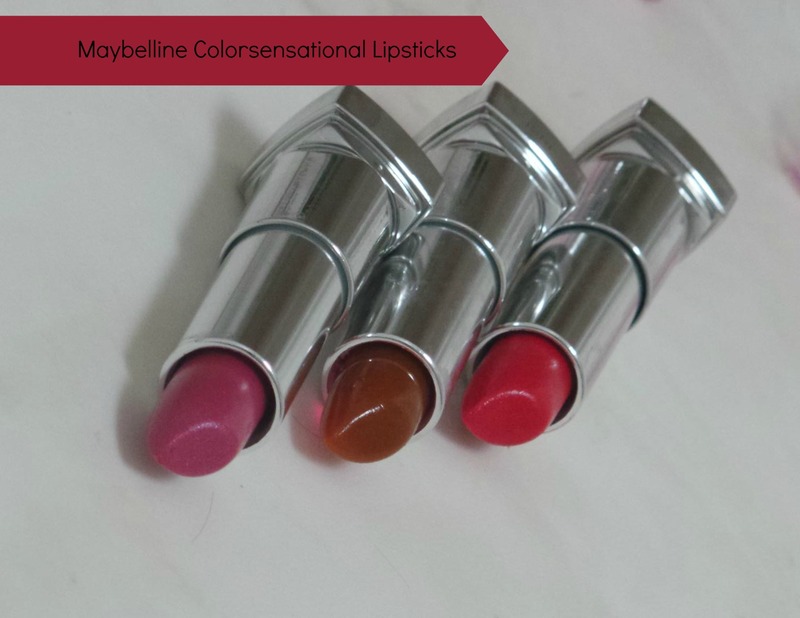 My first choice were these Maybelline Colorsensational Lipsticks and Popstick. I recently reviewed the 'Colorsensational Vivids' collection and was eager to give these a try too. 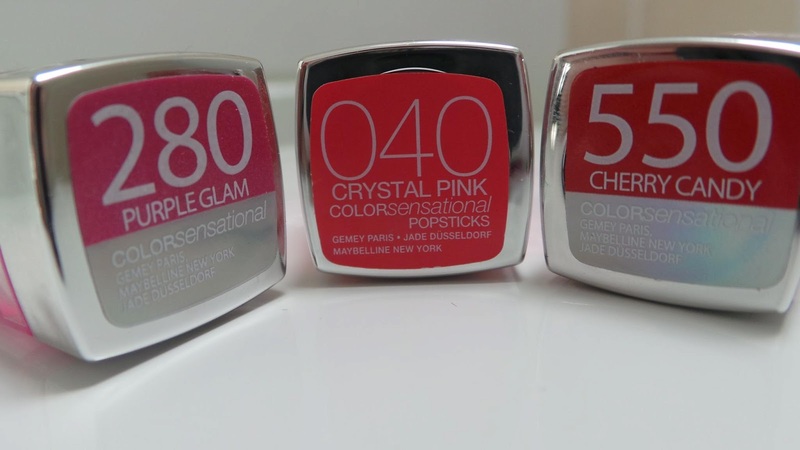 Similar to the Vivids collection, the Maybelline Colorsensational range is extensive, I chose Purple Glam and Cherry Candy. Both these lipsticks are highly pigmented and ultra moisturising on my lips, I am not disappointed. The staying power is also pretty impressive, the colour lasting a good 2-3 hours without any touch up. These are excellent for a subtle and chic day wear, without being garish. Do you remember the sweeties - Refreshers? I think that these smell like Refreshers, yum! My favourite shade out of these is the Cherry Candy, It is a very nice pinky red which is right up my street. Purple Glam is gorgeous too, I can't complain - though I must admit - I do not have an extensive 'purples' collection. 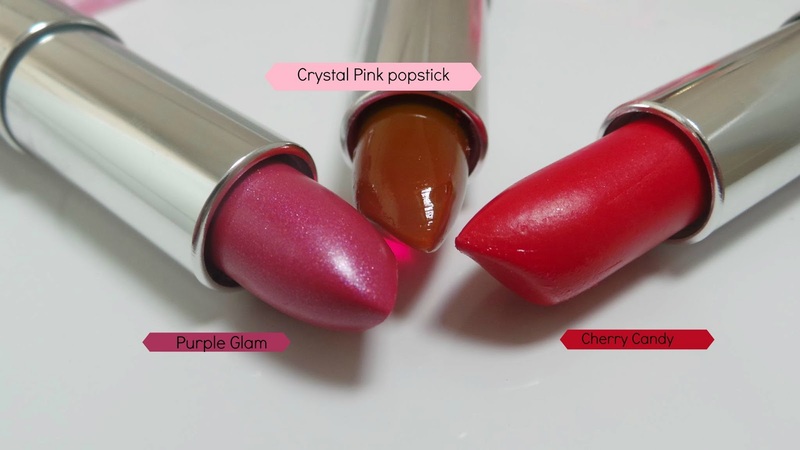 The Crystal Pink Popstick smells like a strawberry lollipop, I could sit and sniff it for ages, however, it does not taste like a strawberry lollipop so I would not recommend licking it! In fact, it has no particular flavour at all - I was a little disappointed. There is no pigmentation to this product but I did find it moisturising - it gave a lovely crystalised sheen to my lips on application - I think it would work really well over one of the normal Maybelline Colorsenational lipsticks. 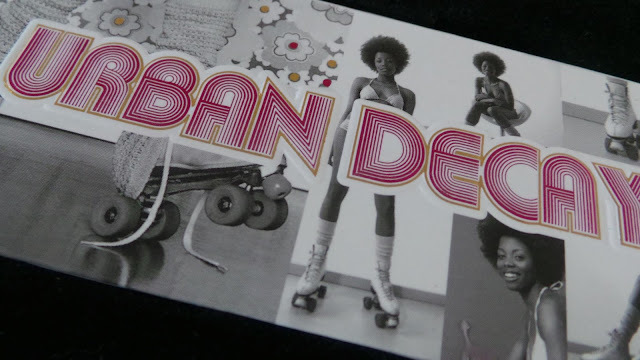 This cute Rollergirl palette by Urban Decay was my second choice. 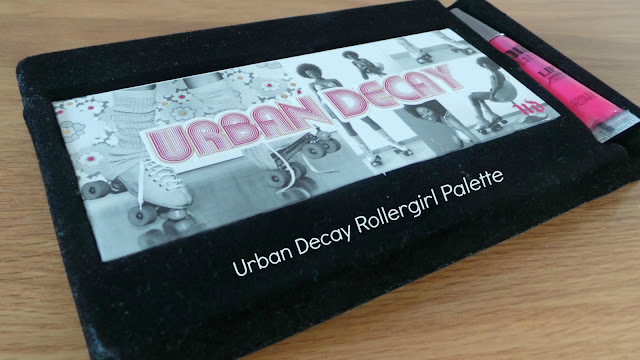 I chose the Urban Decay Rollergirl palette because having owned Urban Decay palettes before, I was already familiar with the quality eyeshadows that they produce, this little gem is no exception. Stunningly packaged with a 60s themed roller disco on the front, this miniature compact is home to 4 beautiful eyeshadows, 24/7 glide on eyeliner and Urban Decay Lip Junkie lipgloss - it also provides a good sized mirror. Each of the individual eyeshadows are very pigmented - a little goes a long way. Woodstock - is your bright colour, a foxy fuchsia which is so much fun to play around with. Every one has a subtle hint of shimmer which is perfect for day or night. I am really pleased with the selection. 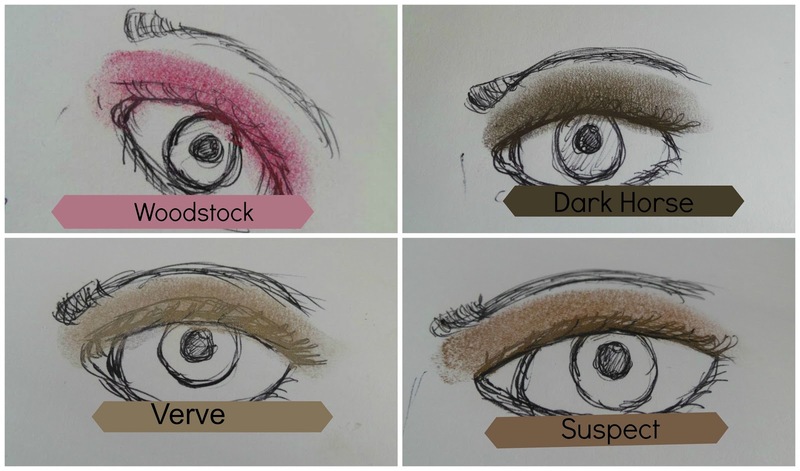 The the darker shades are very similar to those you would find in the Naked Palette. 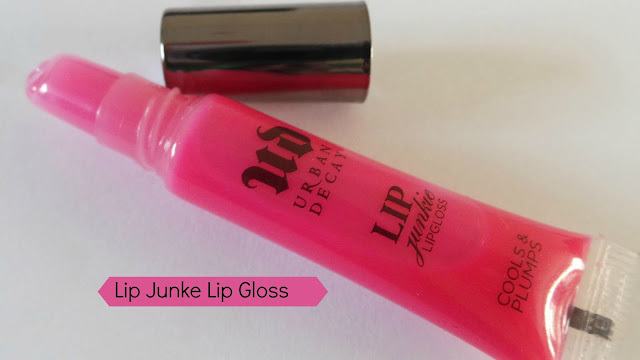 Urban Decay Lip Junkie lipgloss - is a very bright shade of pink. I find it quite thick and a little sticky but still wearable. Personally I am more of a lipstick gal but if you are a lip gloss fan you will not be unhappy with this, you could make it work for you. 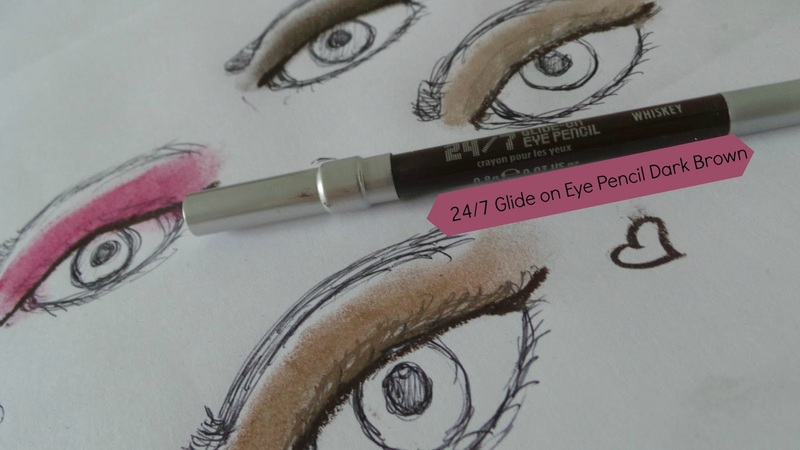 Lastly, I was really pleased to see the Urban Decay 24/7 glide on eye pencil - really good value for money. This eye pencil is so easy to work with, it does what it says, literally glides on to the eye with ease. I am extremely pleased with my little haul. You can purchase the Maybelline Colorsensational Lipsticks and the Urban Decay Roller Girl Palette on both Love Cosmetics and The Cosmetic House. The Maybelline lipsticks are only £2.99 and the Urban Decay Palette is £12.50. But that is not all - If you visit LOVE COSMETICS and enter the discount code - SCOTTISHLASS on check out you will receive 10% off your shopping, a deal not to be missed!! *I was asked to choose and review pieces, I chose the items and my opinions are as always my own. Wow gorgeous products, I love how you showed the eyeshadow shades, so cool! Everythings looks so nice. Especially your lipsticks. Love it! Aw man, I should have gotten the roller girl palette when it was on sale, it's such a cute little set! Love your choices. The cherry candy is gorgeous. Look forward to reading all your reviews. Aww they're so pretty and love the colors. 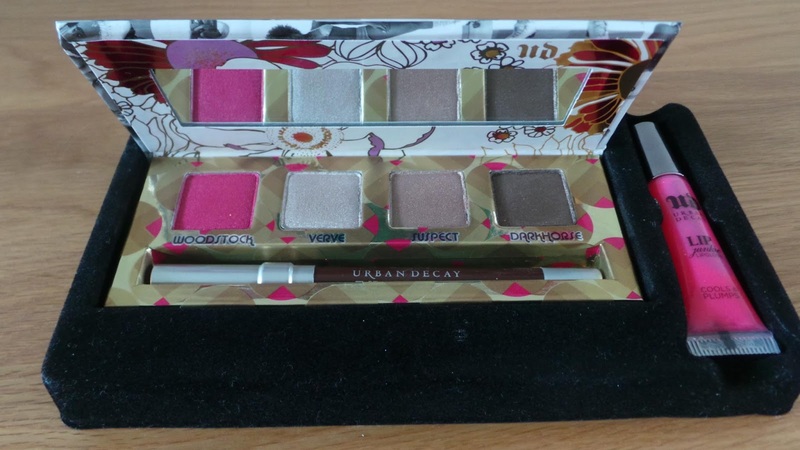 But my favorite gotta be urban decay palette and especially the lip gloss <3 great choices Laura! UD is stunning, nice wee edition to my collection. HI Amy, thanks i'm glad you like it. Thought i'd try something a little different. Ahh just discovered your blog and I am in-love!! It's amazing and you are so creative! <33 The Maybelline lipsticks look lovely and I definitely need to give them a go! :)) Great post!